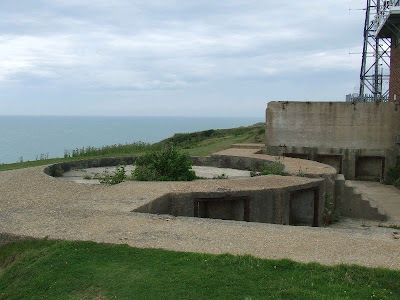 This battery was constructed during WW2 to complement the guns at nearby Newhaven Fort. 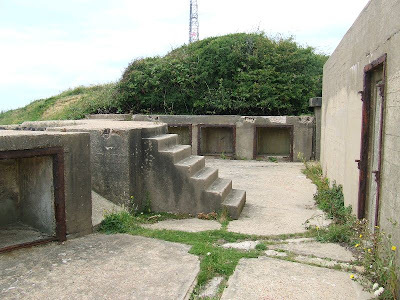 It is located on the cliff top just West of the fort and originally housed three guns with a number of auxiliary buildings located at the rear of the large concrete gun pits. 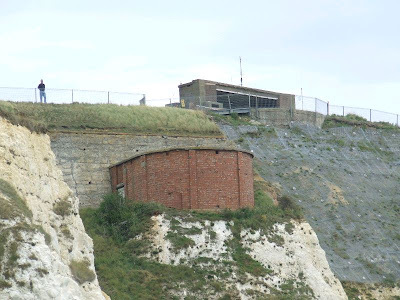 The third gun position has been converted into a coastguard lookout. 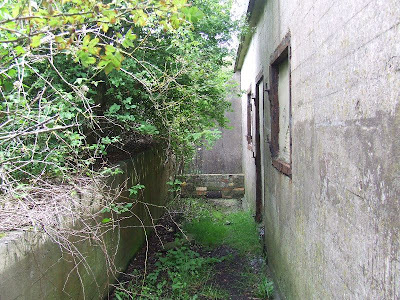 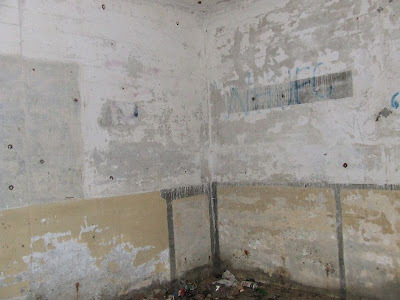 The control buildings have been bricked up, but some holes reveal the interior. 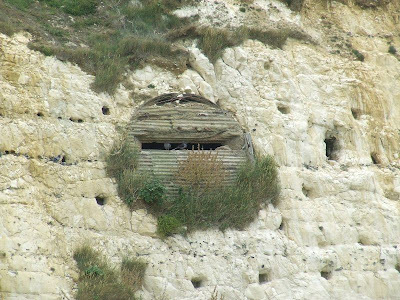 An earlier battery, probably mid nineteeth century, is located nearby at the foot of the cliff. 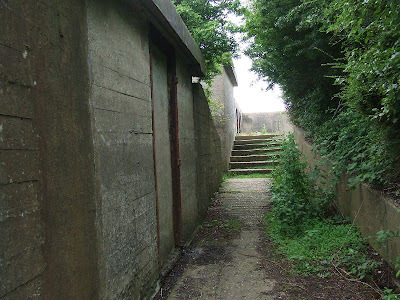 This battery is on an open site and can be easily visited. 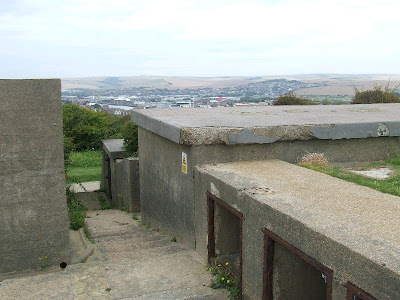 I remember getting down to that observation post with a mate of mine, when the fort was derelict in the 70's. 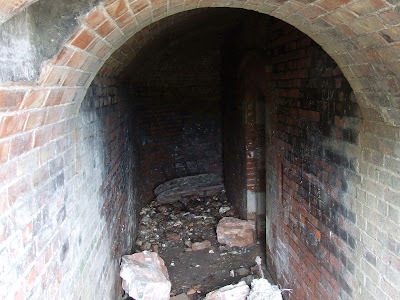 It looked as if it had been built in a tearing hurry, and the only way down was via a 45degree inclined tunnel through the chalk, lined with corrugated iron (maybe there were steps beneath all the rubble, but we never found out), so it was a pretty dodgy descent. 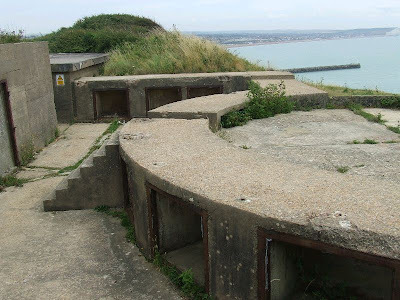 We thought it was a machine gun post. 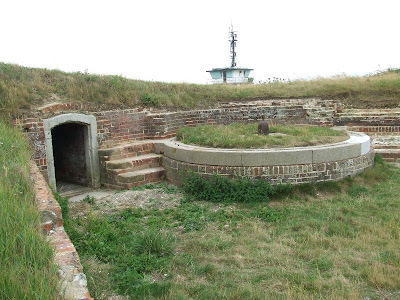 Last time I went back to the fort, there was no sign of the entrance, so maybe it was filled in as too dangerous.